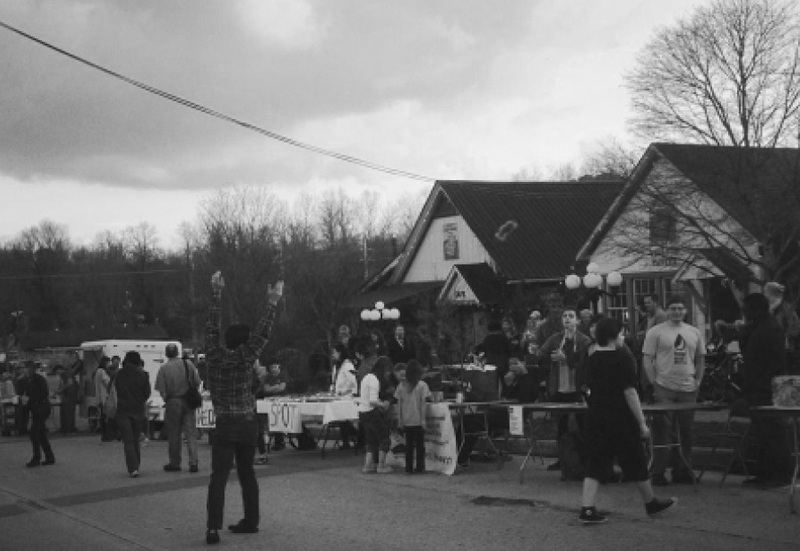 On Friday, April 4, University Avenue in downtown Sewanee was closed for a block party that was created to bring the community together. Invitations were sent to restaurants downtown, spots in Monteagle, and, of course, on campus. Hosted by Caitlin-Jean Juricic’s (C’14) newly founded Ask Not Campaign, an organization geared toward community engagement, the event was a hit. “Friday was a night that I’d like to see happen more in the future, where all people can come together to be together, where they can learn about what’s going on in and around Sewanee, where they can meet new people, and most importantly, make new and lasting relationships despite the town and gown label. By 6:30 p.m., a crowd had already formed and conversations were started. The Sewanee police were present to ensure that the road was blocked for the three-hour window. “This was honestly an amazing event,” Meg Banfield (C’15) said. “I got my face painted and played some games. It’s been a great experience for Photo courtesy of Gabby Valentine everyone.” Many workers from Sewanee were present with their children, so treats were offered at some tables for visitors. While most adults grabbed a beer from the Blue Chair truck and enjoyed the music, children played tag on the green. On a weekend full of alternative events, the Friday Angel Fest represented one way to get connected with others in a non-party setting. The presence of community members made it a diverse and unique setting for conversation, and even a few Trustees made their way down to see what the Ask Not Campaign was all about. Without a doubt, the Ask Not Campaign was successful in bringing new faces together in one place to enjoy good music, good food, and good conversation. The event ended at 9:30 p.m., but guests were invited to Shenanigans to continue conversations and to share what they thought about the Angel Fest.